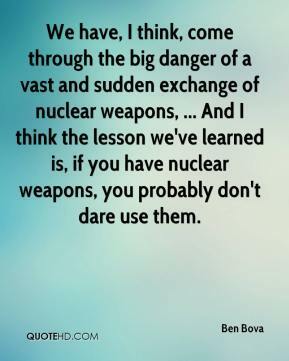 We have, I think, come through the big danger of a vast and sudden exchange of nuclear weapons, ... And I think the lesson we've learned is, if you have nuclear weapons, you probably don't dare use them. 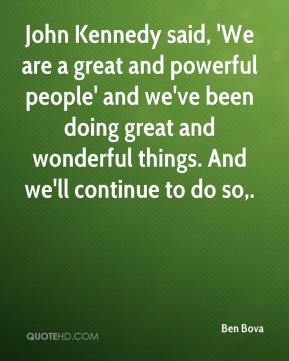 John Kennedy said, 'We are a great and powerful people' and we've been doing great and wonderful things. And we'll continue to do so.